Terry is a clairvoyant medium who has developed his spiritual and psychic abilities at Feathers Academy and furthered his spiritual advacement on Feathers spiritual retreats in Spain. Terry specialises in the art of dowsing with a pendulum within his readings as a way of connecting with spirit energies and as a divination tool. A reading with Terry costs £20 and lasts about an hour. Terry is available on Thursdays at Feathers for walk ins and at any other times by appointment. 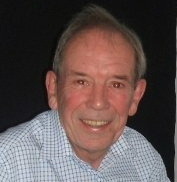 Should you wish to book a reading with Terry please contact Feathers on 01606 334256.